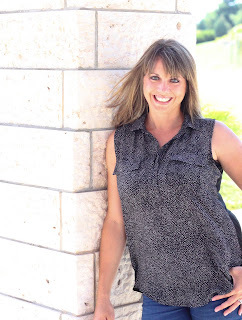 Preserving family memories is one of my passions. I love the thought of documenting our life knowing that my boys can look back at our memories from their childhood and our life as a family. That for me is priceless. I started out as a traditional scrapbooker (paper, printed photos, embellishments, etc), but as time passed I had less time to devote to documenting memories; and honestly my tastes changed (I wanted a cleaner more streamlined look to my memory keeping). 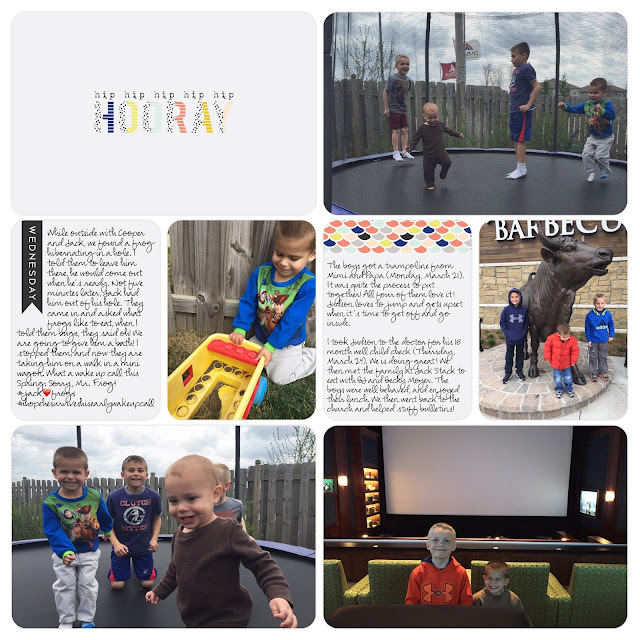 I began using Digital Project Life and LOVED it! I used this process until the App came out. The Project Life App was a game changer for me. What used to take me 20-30 minutes to make a page, I could finish in 3 minutes or less. Amazing! The app is so user friendly. I love to tell everyone I know about this awesome system! I am completely up to date in documenting our 2016 family yearbook, which is the first time ever for me! I cannot wait until December 31st, I will be able to print and have my 2016 family yearbook in my hands ASAP. Here is a quick video I made to give you a fast overview of the app. 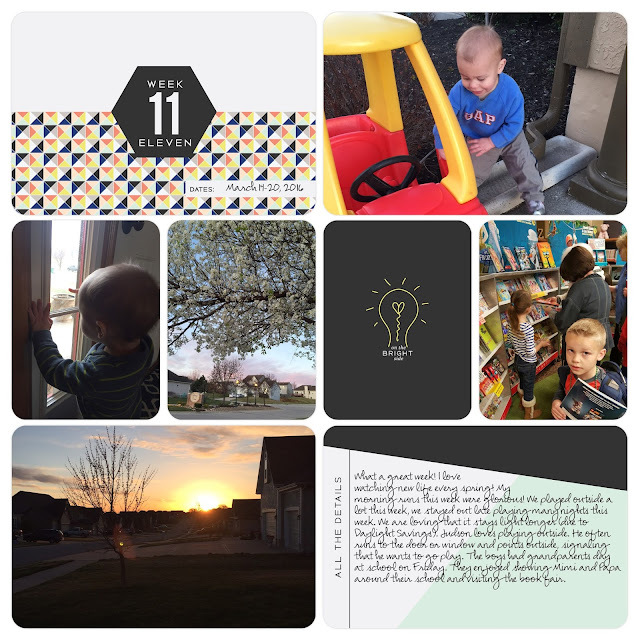 I am using the Project 52 2016 edition (in the Project Life App) to document this year. I love everything about it; the colors, designs, and I know you will too. I document each week Monday-Sunday (that way the weekend is kept together). Each Monday, I open up my app and pull up a new layout and open the new week card (example: Week 31 and the type the dates August 1-7, 2016). Now as the week unfolds, I will slide pictures from my phone (or ones taken with my camera) into the layout for the week. All with the touch of a button. I usually like to choose about 5 pictures per page, 1 4x6 title card, 1 3x4 filler card, and 1 3x4 Journaling Card. You can type any memories on the journaling card that you want to remember about your week or you can use Siri and speak the memories and they will be transferred onto the card (so incredibly simple). One thing that I didn't show you in the video is you can easily move the pictures and cards around in your layout, by touching the card or picture and holding down for a second and then move it and drop it in a different box. 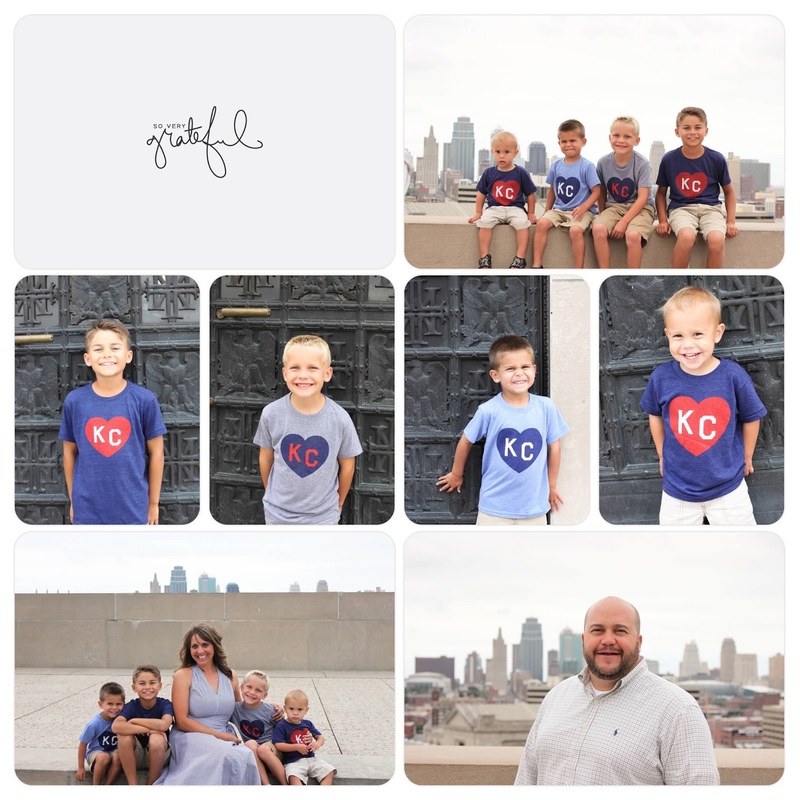 It's so fast and easy to rearrange your pictures to get your page looking just right! After I have completed a layout I will export it to my computer for safe keeping (and I also upload to my photo book through Blurb). I keep adding layouts to my book throughout the year, and then when the year is done, I can print my book (they run nice sales frequently, so I wait for a good coupon code before printing). You can also print your pages through the app, or through Persnickety Prints, and then slip them into page protectors in an album. I'll talk more about printing your pages into a book or as individual sheets in another post soon. Are you ready to start preserving your family memories today? 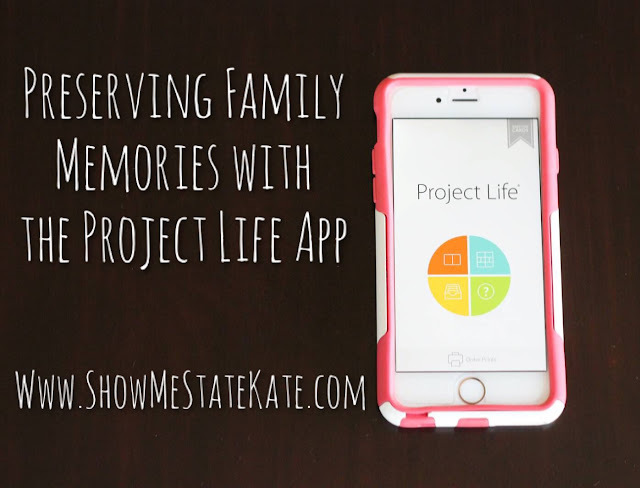 You can download the Project Life App HERE. You can purchase the Project Life Physical products HERE. 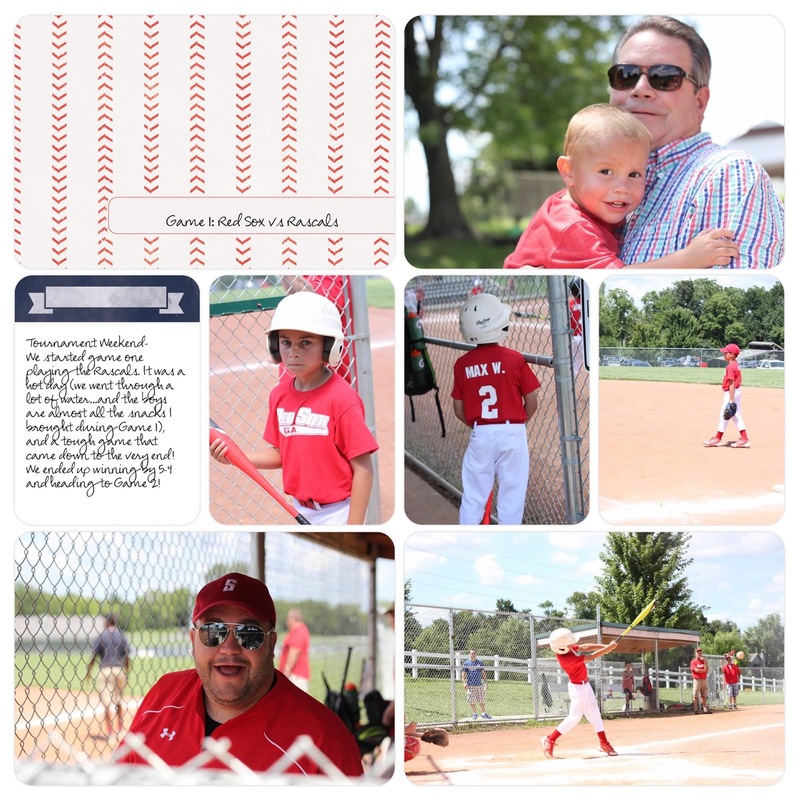 You can purchase the Project Life Digital products HERE (for those with access to Adobe Photoshop or Adobe Photoshop Elements). If you have any questions, leave me a comment below, I would love to answer it for you. What is your favorite way to preserve your family memories? What a cool app. Thank you so much for sharing, Kate. Now I need to see if there is such a thing that I can also add to my computer to help me make sense of the thousands of photos I have there. I just took about 2,000 pictures during a trip last week and am thinking this might be a great alternative to what I was planning on working on this evening. Heather, this system would be perfect for documenting your, and Hana's, trip to Rio. You could even print as its own book! If you can put them all in drop box you can have easy access to them in the app! We can chat more about this!